Summer is over but that doesn’t mean your gorgeous summer glowing skin has to be! No WAY!! 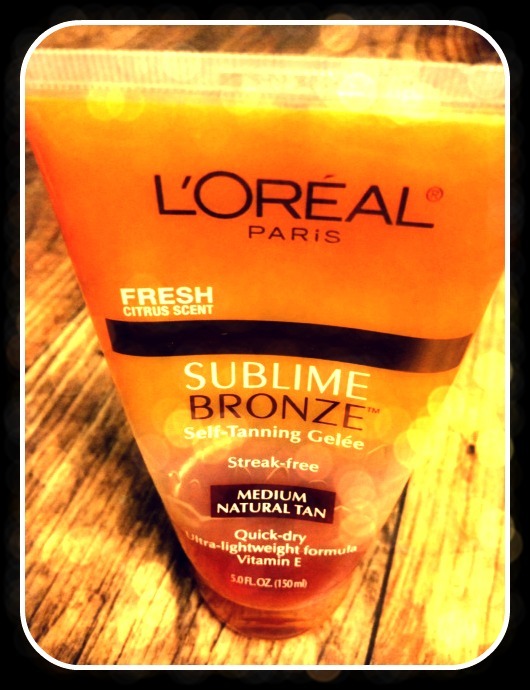 Here are 6 reasons why I am in LOVE with L’Oreal Paris Sublime Bronze Self-Tanning Gelee Medium Natural Tan! #2 It dries SUPER Quick! I like to apply mine after I shower and towel dry. I usually wait around 5 minuets before dressing. I go straight to sleep and wake up with a nice tan! #3 It has a streak free formula! #4 It smells “OK!” Sublime Gelee doesn’t stink as bad as other Self-Tanners I have applied to my skin in the past. #5 The tan is beautiful and does look REAL! It develops a very natural color and glow! #6 Compliments! My husband totally digs the color on me! Here are some tips that I have learned about using this Gelee! If you want to apply Gelee in the morning make sure that you wear dark clothes so that the tanner doesn’t rub on your skin and tint your clothing! It hasn’t stained any of my pj’s thus far! It washes right off in the wash machine. Use sparingly on your knees, ankles, elbows, and feet!! Apply daily until you reach your desired tan. I usually will apply three days in a row, and then I will go to twice a week! The more you apply and use the Gelee you will learn what works best for you! It can go over Tattoos! I have a sleeve on my right arm. I have used this sparingly on the sleeve and it works just well with my ink! This Just cracks me up! I found this image on Pinterest! 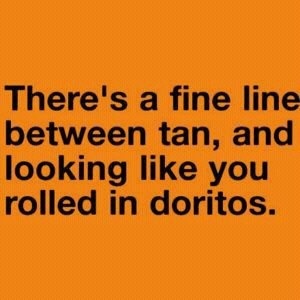 This will not happen to you if you use L’OREAL SUBLIME BRONZE SELF_TANNING GELEE! See for yourself! Here is picture of my tanned legs! 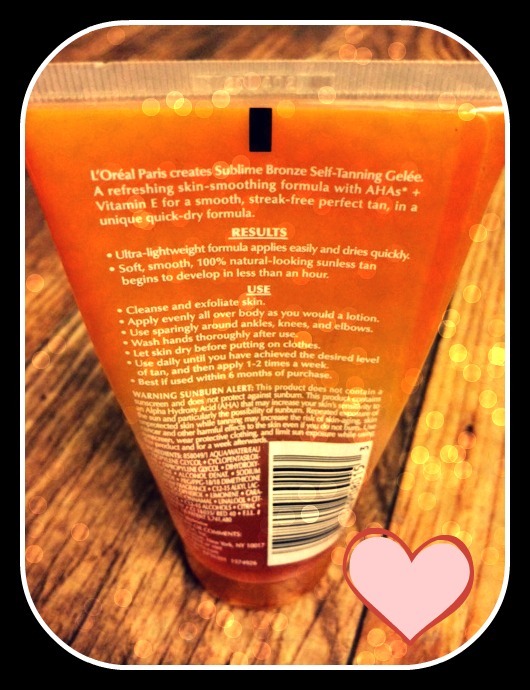 Disclosure: I was not asked to give a review of L’OREAL SUBLIME BRONZE SELF_TANNING GELEE. This is just my personal opinon! Follow me on FACEBOOK http://www.facebook.com/leighleighspeaks or on Twitter @ash_leighharris!